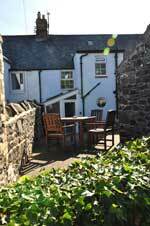 Harbour Cottage overlooks Craster Harbour and is one of the original fishermen's cottages of the village. 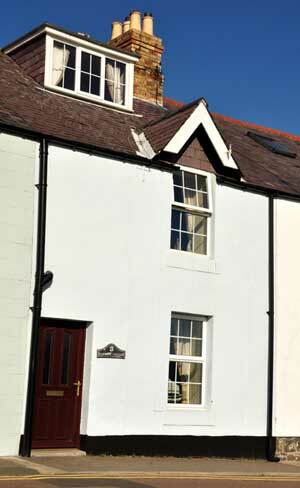 The cottage has been modernised, but still retains many of the original features, such as the wooden beams downstairs and the low deep recessed windows and wooden clad ceilings upstairs. Harbour Cottage comprises of a lounge with an open, coal effect gas fire, a dining room leading to a galley kitchen and a small garden room. Upstairs, there are two double bedrooms, both en-suite. The whole cottage has night store heating. Outside, there is a patio to the rear and at the front of the cottage, across the road, there is a garden situated next to the main harbour pathway. Your car can be parked alongside the garden, opposite the cottage. For further information and booking, please telphone David or Marjorie Clarke on 01665 576306.